British Museum ejects BP (on Shakespearian recommendation)! BP’s wyrd Executives are removed from the Museum by security, accompanied by loud declarations of approval from the other performers. Photo by David Hoffman. Today (22.7.12), twelve members of the 'Reclaim Shakespeare Company' staged an unexpected protest performance inside the 'Shakespeare: Staging the World' exhibition at the British Museum. At 3.30pm, a dozen members of the “Reclaim Shakespeare Company” theatrical action group launched a surprise piece of protest performance inside the British Museum. They performed a short Shakespeare-inspired piece which criticised the British Museum, the World Shakespeare Festival and the London Olympics over their decision to accept sponsorship from BP in the wake of the Deepwater Horizon drilling disaster and the company’s decision to start extracting highly polluting and destructive tar sands oil in Canada. The pop-up performance took place in the Reading Room, surrounded by artefacts linked to Shakespeare’s life and works. Visitors to the BP-sponsored exhibition were treated to a 4-minute guerrilla performance based loosely on Macbeth, in which three BP “executive witches” lure a naive museum director to his doom. The performance was interrupted by an ‘angry customer’ who seemed to be criticising the performance but then turned out to be a protester in disguise, and who finished with the words: “No more o’this, BP, no more / You mar all with your logo / Here’s the smell of oil still / All these shiny exhibits will not sweeten this soiled hand. Oh, oh, oh! / Out, damned sponsor! Out, BP!” These final words were greeted with laughter and applause by museum-goers. The full script can be seen below. BM boss 'withdraws to prepare for harmonious future'? 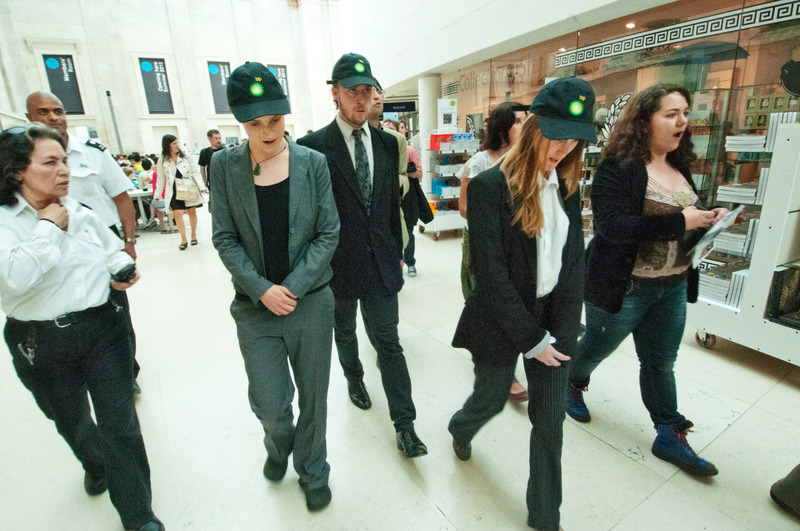 The performer asked the watching crowd to rip the BP logo from their exhibition programmes. At this point, security guards moved in to break the performance up but the troupe continued to perform as they were then escorted from the Museum foyer in front of hundreds of museum-goers. The security guards were even incorporated into the performance, with the protesters congratulating them loudly for removing the BP executives from the building. The performance was then repeated outside the Museum for passers-by. This was the fifth such intervention by the Reclaim Shakespeare Company, the first two having taken place on the Royal Shakespeare Theatre stage in Stratford-upon-Avon], the third at the Roundhouse Theatre and the fourth at the Riverside Studio before a performance of Romeo and Juliet in Baghdad. Meanwhile Mark Rylance, one of the UK’s leading actors, has expressed his concerns about BP’s sponsorship of the Olympics and the Cultural Olympiad (of which the World Shakespeare Festival is part) on Radio 4’s Today Programme and the BBC’s Andrew Marr Show. Wyrdness at the heart of the British Museum Photo by David Hoffman. BP’s sponsorship of the World Shakespeare Festival – which includes the British Museum exhibition – is part of a massive sponsorship deal for the Olympics, which also includes being Oil & Gas Partner and Sustainability Partner to the Games themselves. This sponsorship has already triggered a wave of criticism, including the ‘Greenwash Gold’ awards for worst Olympics sponsor, which culminated on Friday with a stunt in Trafalgar Square in which seven people were arrested for “criminal damage” for spilling green custard on the ground. The Reclaim Shakespeare Company is supported by the UK Tar Sands Network. Chanting begins from somewhere. Soon a few more voices join in, quietly and relatively unobtrusively. Three BP Executives are circulating/circling the room. As they begin to speak, they join together in the centre and the chanting stops. In oil spills, tar sands, toxic rain? PR battle fought and won. That will be ere: 2012. Our good friend, the Museum Director! Enter Museum Director, elegant, cultured, calm. All hail, Museum! Hail to thee, thane of Great Russell Street! Come throw your parties ‘mongst our priceless things! As the BP Executives proceed with their chant, they begin to surround the Director, covering him in BP stickers. Into the ocean oil we throw. Uproots and kills without a sound. Tar sands burn, as greenwash bubbles. We’re always lurking there, beneath. Other chorus members, placed at different parts of the room, begin to join in the BP Executives chant. During the chant the Director becomes fully lured and joins in. An ANGRY CUSTOMER strides into the middle of the theatre troupe. Look, do you mind? We’ve paid a lot of money to see this exhibition and this isn’t what we came here to see! This is completely inappropriate. How dare you do this? How dare you, the British Museum, accept sponsorship from BP? You’re letting this filthy company position itself as a respectable supporter of the arts and the Olympics when it’s destroying the very planet that made all this cultural heritage possible! Canst we not do better than this? There’s something rotten in the state of Albion! Customer takes Director’s hands out of pockets to reveal they are now stained with oil. What, will those hands ne’er be clean? No more o’this, BP, no more. You mar all with your logo. Here’s the smell of oil still. All these shiny exhibits will not sweeten this soiled hand. Oh, oh, oh! Please join with us now in removing these BP executives from the building. 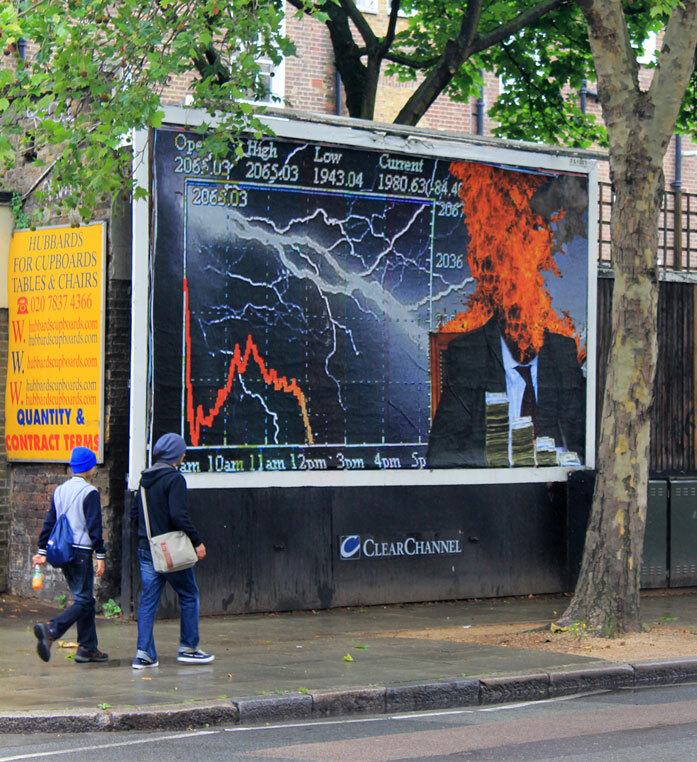 The Brandalism project brought 25 artists from 8 countries coming together for the biggest subvertising campaign in UK history. 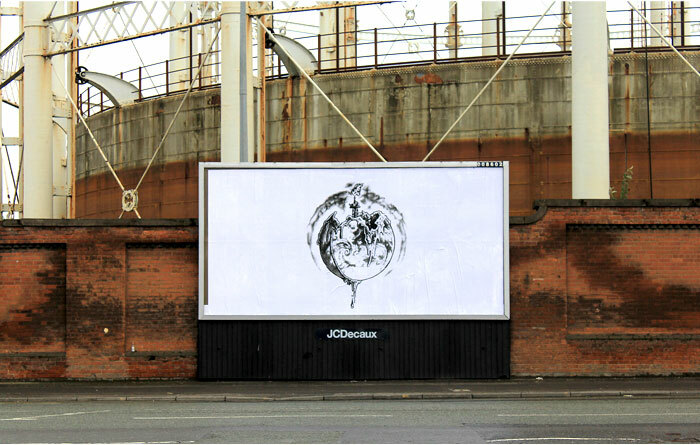 Over five days a team of guerilla installers travelled to Manchester, Birmingham, Leeds, Bristol and London and put up artworks that seeks to confront the ad industry and take back our visual landscapes. NOTE: Pictures and footage of the performance are available for media. Art collective Liberate Tate (www.liberatetate.org) has installed a massive 16.5 metre (40 foot), one and a half tonne wind turbine blade in Tate Modern’s Turbine Hall Saturday (7 July 2012) submitting the artwork to be part of Tate’s permanent collection. The artwork, called ‘The Gift’, was installed in an unofficial performance involving over 100 members of the group that has become internationally renowned for artworks aimed at ending the relationship of Tate and other national cultural institutions with oil companies. The group also submitted official documentation (see below) for the work to be presented as ‘a gift to the nation’, which means that Tate will need to decide through formal channels whether or not to accept the artwork as part of its permanent collection. This year Tate confirmed in a reply to a Freedom of Information Act request that it has received more representations raising concerns about BP’s sponsorship than any other issue since the oil company became linked with the gallery in 1990. Thousands have called in the last year alone for Tate to disengage from BP due to the devastating impacts of the company around the world to ecosystems, communities and the climate. In addition to the catastrophic Gulf of Mexico spill, BP is also expanding into devastating tar sands extraction in Canada, is drilling in risky regions in the Arctic and as a company is responsible for more carbon emissions than the UK itself. Pictures and footage of the performance are available for media. ‘Human Cost’: a performance in Tate Britain on the anniversary of the Deepwater Horizon explosion (April 2011) when a naked member of the group had an oil-like substance poured over them on the floor in the exhibition Single Form dedicated to the human body and part of ‘BP British Art Displays’. ‘Dead in the water’: a contribution to Tate Modern 10th Birthday celebrations (May 2010) by hanging dead fish and birds from giant black helium balloons in the Turbine Hall. ‘License to spill’: an oil spill at the Tate Summer Party celebrating 20 years of BP support (June 2010). ‘Crude/Sunflower’: an installation artwork which saw over 30 members of the collective draw a giant sunflower in the Turbine Hall with black oil paint bursting from BP-branded tubes of paint (September 2010). Gift to the Nation. Liberate Tate’s ‘The Gift’ is a gift to the nation ‘given for the benefit of the public’ under the provisions of the Museums and Galleries Act 1992 (http://www.legislation.gov.uk/ukpga/1992/44/contents), the Act from which Tate’s mission is drawn. See letter to Tate below. Tate Modern is housed in the former Bankside Power Station designed by Sir Giles Gilbert Scott. This month (July 2012) sees the Tanks open as a new space at Tate Modern – what were originally huge industrial chambers containing oil that fuelled the power station until it was decommissioned in 1981. Over 8,000 people signed an Open Letter to Nicholas Serota about BP (online herehttp://liberatetate.wordpress.com/open-letter-to-nicholas-serota/). 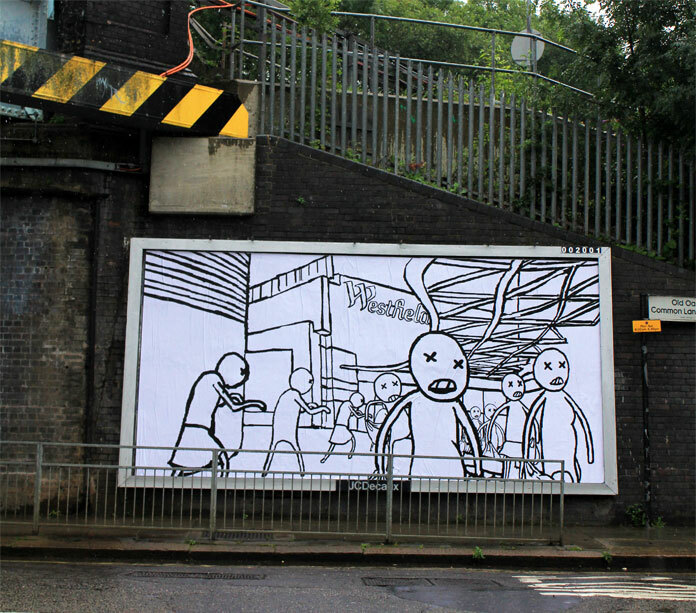 We, Liberate Tate, make a gift of the artwork specified below to the Tate Gallery to become its permanent property. 1. Exhibition of The Gift should include all elements of the artwork: the wind turbine blade, communiqué and performance documentation. 2. We gift this artwork with the intention of increasing the public’s understanding and enjoyment of contemporary art. 3. We understand that the material we are giving shall be available to curators and researchers as part of the Tate Gallery’s public collection. 4. Being the sole owner of the material, we give this material (and any additions which we may make to it) unencumbered to the Tate Gallery. There may not be much to celebrate these days, but we have given you a gift anyway. This is perhaps the largest present you have ever received, the most unexpected and the most disobedient, the strangest and the hardest to get rid of. What we have given you is a new work of art, which like all the best works is wrapped in the selflessness of creativity, an act of gratitude that keeps on giving. Despite recent reports that our biosphere is approaching a ‘tipping point’ where ecosystems are close to a sudden and irreversible change that could extinguish human life; despite years of creative protest and thousands of signatories petitioning Tate to clean up its image and let go of its relationship with a company that is fuelling catastrophe; despite all these things, Tate continue to promote the burning of fossil fuels by taking the poisoned ‘gift’ of funding from BP. This is why today we have given you something you could not refuse. The law of this island requires that all “gifts to the nation”, donations of art from the people, be considered as works for public museums. Consider this one judiciously. We think that it is a work that will fit elegantly in the Tate collection, a work that celebrates a future that gives rather than takes away, a gentle whispering solution, a monument to a world in transition. ‘The Gift’, weighing one and a half tonnes, has been moved hundreds of miles from a Welsh valley, lovingly prepared and carried by hand by hundreds of people across London to be deposited in the Turbine Hall, a space where oil was once burnt to light this city. The journey of ‘The Gift’ bears witness to an epic of cooperation and points to a time beyond fossil fuels. Resting on the floor of your museum, it might resemble the bones of a leviathan monster washed up from the salty depths, a suitable metaphor for the deep arctic drilling that BP is profiting from now that the ice is melting. But it is not animal, nor is it dead, it is a living relic from a future that is aching to become the present. It is part of a magic machine, a tool of transformation, a grateful giant.